When it comes to saving time on household chores, there are few appliances that will do more for you than a good dishwasher. This is one of the many reasons that these machines are so popular. If you are looking for a new dishwasher, you have a lot of choices and, regardless of your needs, there is likely a machine that will be perfect for your home. They come in a variety of different sizes, they have all sorts of different features, and you have design options like freestanding or integrated. 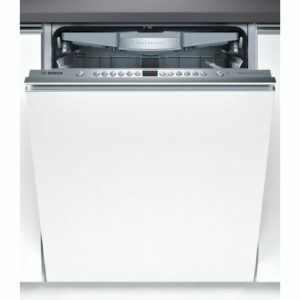 In this article, we are going to cover some of the points that concern people that are thinking about buying an integrated dishwasher and then we will offer some recommendations for models that should suit the needs of different buyers. 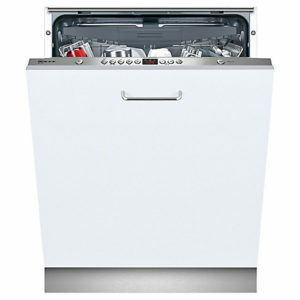 The big advantage of having dishwasher, integrated or otherwise, is that you will not have to wash your dishes by hand. Hand washing your dishes takes time, it can require a lot of scrubbing and it can be tough on the skin of your hands. Most people just don’t feel like going through this right after finishing a meal. Another issue with hand washing is that it is not always as effective as washing with a machine. While you might be able to remove all of the old bits of food and caked on grime, hand washing does not do a great job of removing bacteria from dishes. Your hands cannot handle a temperature that will have a significant impact on the bacteria that can build up on dishes, and you generally use the same brush, sponge or cloth for scrubbing, so this can cause cross-contamination. 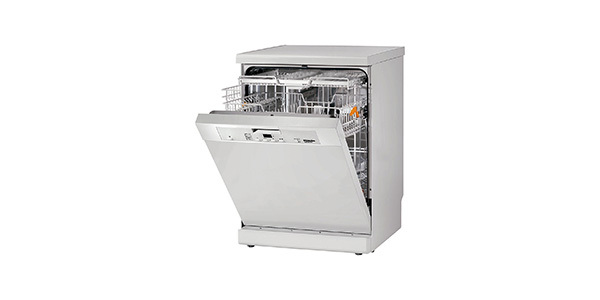 In a dishwasher, the dishes are cleaned with high-temperature water that sprays the dishes with pressurized jets. This makes for a clean that is much more sanitary. 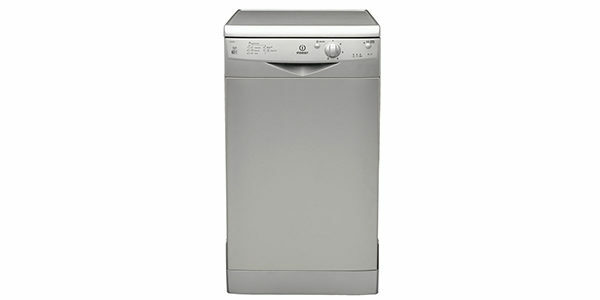 The main advantage of a fully integrated dishwasher over freestanding models is not a practical concern. 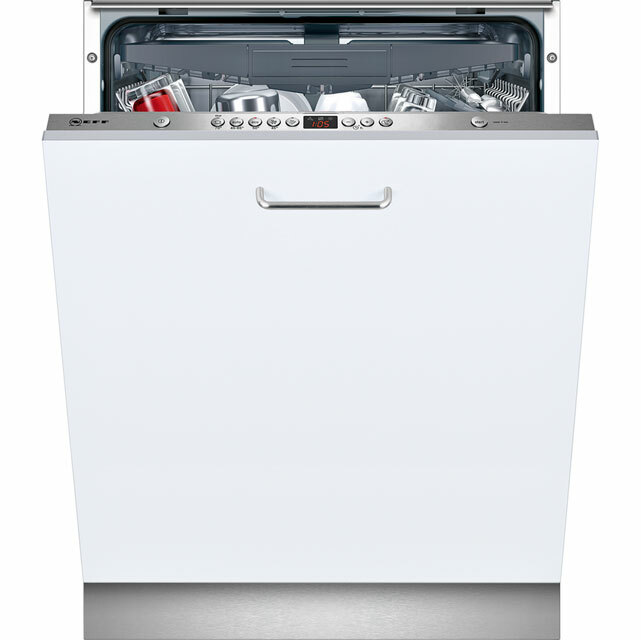 People choose integrated dishwashers because they feel that there is an aesthetic appeal. The integrated machines are built into a cabinet space and the door is covered with a panel that matches the other cabinets in the kitchen. This provides the room with a more uniform appearance. When you consider practicality, the freestanding machines are in some ways much more straightforward. They are easier to install, they don’t need to be fitted exactly into a space in the cabinet and they are easier to remove if you need to replace the unit, or if you want to take it with you when you move. As an additional point, integrated models tend to cost a little more. Since the dishwasher has to fit into an enclosed space, there are different engineering standards that must be met. When you compare integrated and freestanding machines that have similar features, the integrated dishwasher is usually going to cost more, and this increase in price also tends to become more pronounced as you move up in quality. 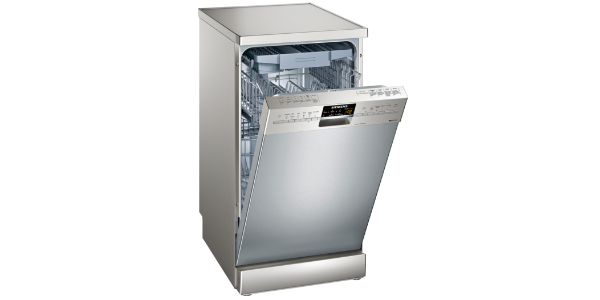 As with any appliance purchase, there are things that you are going to want to consider when you go shopping for an integrated dishwasher. Aside from your budget and the dimensions of the machine, you need to think about things like the capacity of the machine and the different features that it has. 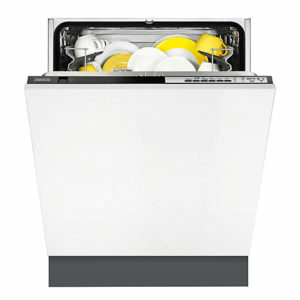 Capacity is probably one of the most important points to look into when you go shopping for a dishwasher. If the machine is for a small family, you might be able to make due with a slimline model. For mid-size to large families, you are probably going to be better off with a full-sized machine. 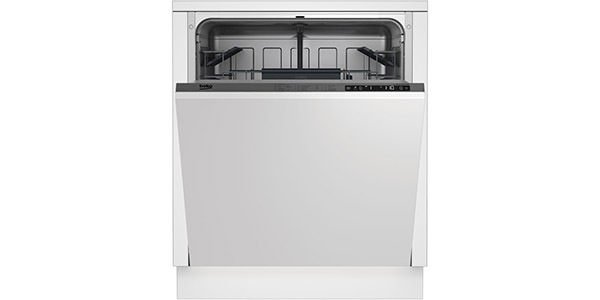 Of course, space is going to play a role in the size of dishwasher you can get, but you do not want to have to wash several loads to get all of the dishes done. The interior racks can also play a significant role in the versatility of the machine. Some of the less expensive machines will have very few adjustable options for the racks, but you can find models that have a range of folding racks and prongs, height-adjustable upper racks and special features like the third level cutlery tray. With more adjustable features, it will make for a machine that can hold or wash a wider array of dishes. You don’t want to get a dishwasher, only to find out that it does not have the ability to fit some of the items that you commonly use. A machine that is fairly basic in regard to the features and programmes can still work fine for a home’s dishwashing needs, but there is something to be said for the models that come with advanced features. If you spend a little bit more, you can get a machine with programs that make it safe for washing glassware, or a programme for sanitize and are there even features like sensor washing and quick wash that can be really useful. Below you’ll find a list of our recommended built-in dishwashers with a brief description of each as well as a list of pros and cons. 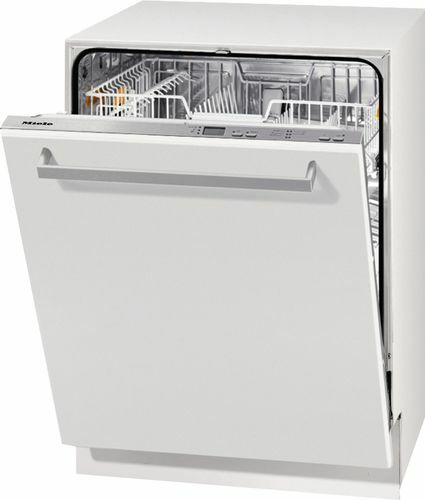 If you want to find out more you can check out all of our integrated dishwasher reviews here as well as some further Best Buy recommendations here. Under each model you’ll find a table listing the best deals and prices at a range of online retailers including Currys, ao, Argos, John Lewis, Amazon etc. If you want one of the best machines out there, and your budget stretches to it, the Miele G 4960 SCVi is a really great dishwasher. It provides some of the best cleaning results, it has some nice features and it is one of the most efficient machines when you consider both electricity and water. This machine is listed as having a 14 place setting capacity and the interior racks do provide a lot of options. You have the hinged prongs and racks that are designed for different items and this machine has the third level cutlery tray to free up room in the bottom rack. It also has one of the more versatile height-adjustable upper racks. In addition to being able to adjust the height, you can also set it so one side is higher than the other. The G 4960 SCVi from Miele has simple push button controls and a display. For washing dishes, the user has 5 programme options. You have a pre rinse, ECO, auto normal, auto intensive and auto gentle. In addition to that, you also have a speed up option that can reduce the amount of time that it takes a cycle to run and it has automatic load size detection, to ensure that it uses less water when the machine is not full. 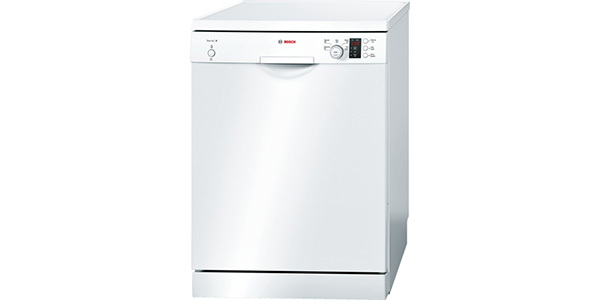 The Bosch Serie 6 SMV69P15GB is a dishwasher that performs well in just about every way. It cleans everything from light soiling to intensive with no problems, it has a nice selection of features and programmes and it has one of the more flexible interiors that you will find. 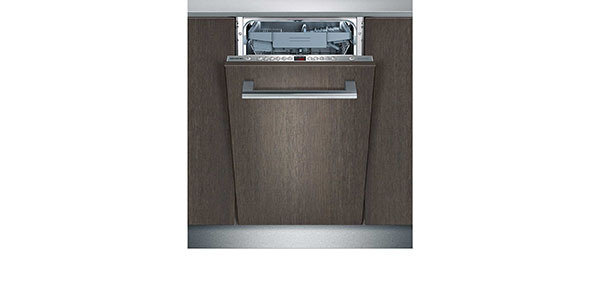 One of the ways that this Bosch integrated dishwasher is a standout is in the options that you have for the interior. Instead of the basket, it uses a third level tray for holding cutlery, you have a range of folding racks and tip up compartments and it has a three-stage adjustable top basket. The 14 place setting capacity fits in there with ease, and you can make adjustments that make it easier to fit in larger items. This Serie 6 machine also comes with a great assortment of features and programmes. It uses sensor washing to manage the machine operation and it has a list of programme options that include intensive, quick wash, eco and delicate. For added options, you also have features like VarioSpeed for cutting the cycle times, Hygiene plus for a sanitizing wash, a half load option and intensive zone. It might not be one of the cheapest machines out there, but when you consider the quality results and versatile design, the Neff S51L58X0GB makes for an exceptional choice for the money. This is a machine with a 13 place setting capacity and it comes ready to handle some of the toughest jobs. To start, this dishwasher comes with 5 programme options for washing your dishes. The cycle options include pre-rinse, chef, auto, eco and quick wash. As an additional feature, you also get the VarioSpeed option for reducing the time that it takes a cycle to run. The interior of this model provides a lot of space, and you get a lot of options from the adjustable racks. First, you have the height-adjustable upper basket that can be set to three different heights. After that, you have a third level cutlery tray and a range of folding racks and shelves. With the Zanussi ZDT24001FA, you have a machine that comes at a reasonable price, but it still performs well and it comes with some nice features. This machine has enough room to fit 13 place settings and while it may not have all of the top features that you would look for, the buyer gets a surprisingly good machine for the money. The interior of this machine is well designed and you can fit all sorts of items in the racks. It has a height-adjustable upper basket, folding racks and compartments that are arranged to fit an assortment of dishes. It does not have the third level tray for cutlery, but it does have a cutlery basket. The user has a total of 5 washing programmes when they use this machine. You have auto sensor washing for most of your standard cleaning, then you have an intensive cycle, a quick wash, a cycle for glass and an eco wash. As an additional point, it does have automatic load size detection for reducing the consumption on half loads. 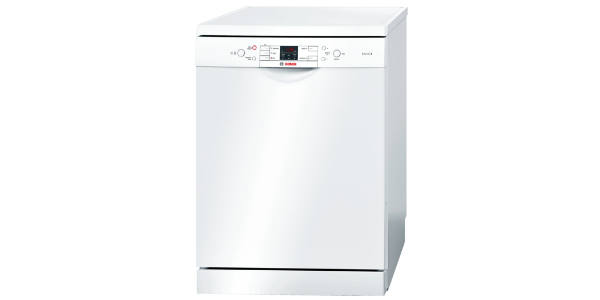 For those that are working on a tight budget, the Beko DW603 could be just the machine that you are looking for. It could certainly do better in some areas, but it does provide good cleaning and it comes with a nice array of features for the price. 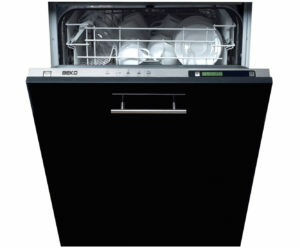 The DW603 from Beko may not have the most versatile interior, but it does come with some adjustable features and it should fit most of the dishes that you need it to. It has a 12 place setting capacity, folding racks and tines and the upper basket is height-adjustable. Instead of the third level cutlery tray, this model has a cutlery basket that can be removed or moved around to make room for larger items. You do not get auto sensor washing, but it does have a nice selection of programmes. The cycle options with this machine are pre wash, eco, rapid, quick and clean and intensive. The controls are very easy to use and it also has a half load feature. Integrated dishwashers are great for the way that fit in with the look and design of the kitchen. You have all of the advantages of a dishwasher, but the machine is tucked away in a place where nobody can see it. By looking at these recommendations, you can see that there are machines that can fit any budget and there are models that can provide some really nice features. If you are shopping for a new dishwasher, these models do provide great options, but there are other quality machines out there. If you want to see more integrated dishwashers, you can check out our integrated dishwasher reviews, and if you want more tips for finding the right machine for your home, take a look at our buying guide.